In a year marked by the earthquake in Haiti, Elvis-impersonating Chilean miners and the end of Lost, we are reminded that in the greater scheme of things, it’s only POOP. But while Tea Partyers, one JetBlue flight attendant and Cee Lo explored new ways to express their ire and frustrations, we 29 POmpous and OPinionated patrons of the musical arts embraced the new era of civility in our annual rite of peaceful pontification. No POOP libel here. If you’ve been here before, feel free to skip this paragraph. As usual, I’ve attempted to tabulate the entries and, as is customary, I’ve employed the time-honored What-The-Hell’s-He-Talking-About-Anyway System. One more time, I’ve given 2 points to each pompoid’s Top 10 choices and 1 point to each title beyond a Top 10 or in the variously designated “honorable mention” categories (up to 25 titles in all). It’s all good. Don’t forget to visit the always snazzy online POOP at www.pooplist.net, doted on and masterfully managed by Mark Zip. 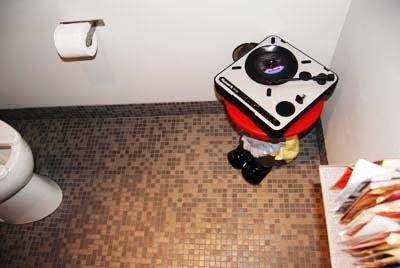 Check out links to virtually every album on these pages and explore POOPs going back to 2001. Be the first to comment on "Main Poop Analysis 2010"